During the Neutrogena Fine Fairness event, I've accepted the challenge to go bare-faced on a date. If I had good skin, I wouldn't fuss about this simple task. But since I'm once again growing a freaking grapevine on an awesome facial garden called my chin, I'm really anxious that the BB Cream might not deliver! In the course of six weeks, the BB Cream must be able to improve my skin. It promises to: (1) give me a lasting, healthy glow, (2) erradicate blemishes, (3) even out my complexion, and (4) improve my skin's fairness. Stabilized Vitamin C is a powerful anti-oxidant that blocks free radicals and reduces Tyrosinase, an essential enzyme in melanin formation. This stable form of Vitamin C ensures a prolonged release for a long-lasting healthy glow. Phyto-lily Extract helps inhibit melanin production to prevent skin pigmentation and skin dullness. Vitamin B3 works from the inside-out to renew cells and inhibit melanin transfer to keratinocytes. This helps make skin appear youthfully radiant and translucent. 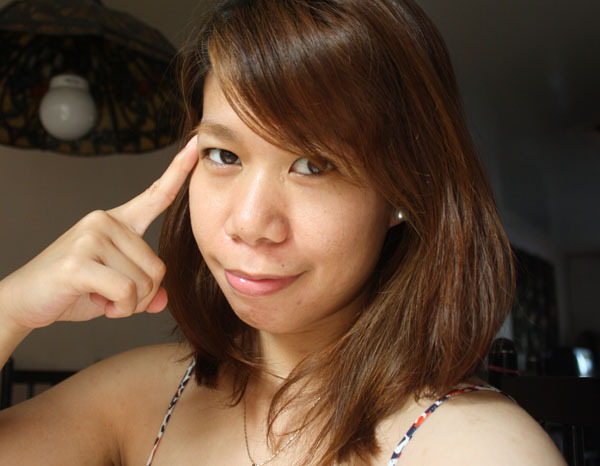 In a span of six awesome weeks, I will be using the Fine Fairness BB Cream daily during daytime. I must expect nothing but awesomeness for my skin here and so in return, I will commit to dating the BF sans anything makeup! If there's one thing I dread, it's going out with the boyfriend on a date without any type of face base on. I can take going out without lipstick, brow makeup, cheek enhancers, or any sort of makeup, but not without a face base! It's on 20% off during the Month of Hearts! Pay P575 instead of P720! I don't know why I agreed to Neutrogena's challenge. I cringe at the thought of it, all the more the need to blog about it. 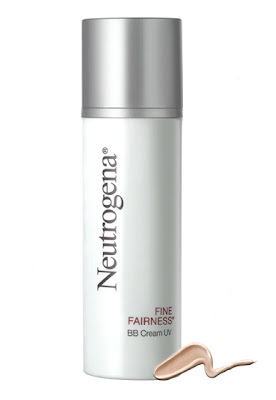 BUT... if the Fine Fairness BB Cream is as good as what it claims to be, then I guess I'm in a win-win situation here. B. I'm posing bare-faced, eeeeek! 1. Deadline for your weekly guesses will be 3PM, Sundays (for this week, deadline's on the 12th) . 3. Drawing will be via ballots --- the old school way! If there will be more than 20 correct answers, it'll be done electronically. I have high hopes for the Neutrogena Fine Fairness BB Cream especially if it dares to make me do something I dread. Perhaps, aside from guessing if I'm wearing the BB cream on the photo or not, you can also play Madam Auring for me and predict if the product will be able to improve my skin or not! Disclaimer: Product was sent for review purposes. This is not a paid post. im guessing that you don't have it. if so then you have a good skin na! It must be a tough challenge, I also couldn't go on a date without face base, well, BB Cream only is actually enough ^^ Good luck to you. You have amazing skin :) Not a blemish in sight! You'll be fine! I think the BB cream will be great! I'm looking forward to your next posts. Back, again. And still, I'm not giving a guess... I'm sooo tempted to join this contest but I have a little de-stashing project that I know you know about. Ugh. Self-control. This is killing me and I'm not even sure I'd win. Ugh.